*** CLEAN, ACCIDENT FREE VEHICLE HISTORY REPORT ***. 20/28 City/Highway MPG Take the stress out of getting a good deal on your next car. See our lowest price upfront No hassle-No haggle pricing Commission-free sales team 7-day return policy Hundreds of 5 star Google reviews. **LOCAL TRADE, **TOWING, **4 WHEEL DRIVE. Recent Arrival! Apple Autos is DIFFERENT! See our best price upfront! Real cash value for your trade! Commission-free sales team! 19 point safety inspection. Vehicle is sold as is. 7 day exchange policy. **LOCAL TRADE. Recent Arrival! Apple Autos is DIFFERENT! See our best price upfront! Real cash value for your trade! Commission-free sales team! 19 point safety inspection. Vehicle is sold as is. 7 day exchange policy. **ONE OWNER, **LOCAL TRADE, **TOWING, **ODOMETER IS BROKEN. Recent Arrival! Odometer is 36930 miles below market average! Apple Autos is DIFFERENT! See our best price upfront! Real cash value for your trade! Commission-free sales team! 19 point safety inspection. Vehicle is sold as is. 7 day exchange policy. **LOCAL TRADE**, **CLEAN VEHICLE HISTORY REPORT**, **4X4**, **TRAILER/TOW PACKAGE**, **AUTOMATIC TRANSMISSION**, Luxury Ride Suspension Package. This vehicle passed our 18 Point safety and mechanical inspection. In addition, every vehicle we sell comes with a 7 day 300 mile return policy. All vehicles come standard with one key. If two or more keys are provided from the previous owner they will be included. Located at Apple Used Autos in Shakopee on Hwy 101 Reach us on: (952) 403-7622. Recent Arrival! **LOCAL TRADE**, **4X4**, **AUTOMATIC TRANSMISSION**, Body Color Front & Rear Fascias, Fog Lamps, Quadra-Trac II On-Demand 4WD System, Quick Order Package 26E, Special Edition Badge, Special Edition Group. This vehicle passed our 18 Point safety and mechanical inspection. In addition, every vehicle we sell comes with a 7 day 300 mile return policy. All vehicles come standard with one key. If two or more keys are provided from the previous owner they will be included. Located at Apple Used Autos in Shakopee on Hwy 101 Reach us on: (952) 403-7622. Priced below KBB Fair Purchase Price! 21/29 City/Highway MPG Take the stress out of getting a good deal on your next car! We Take Your Satisfaction Very Seriously. Here are our promises: *See our lowest price upfront! *No hassle-No haggle pricing! *Completely Transparent Buying Process! *Commission-free sales team! *You can't buy the wrong car! 7-day return policy! Hundreds of 5 star Google reviews. Come see for yourself why people love Apple Ford Lincoln Apple Valley!! 3.1L V6 SFI, FWD. Recent Arrival! 20/30 City/Highway MPG This vehicle passed our 9-Point safety and mechanical inspection. In addition, it qualifies for a 5-Day vehicle exchange. **LOW MILEAGE**, **LOCAL TRADE**, **CLEAN VEHICLE HISTORY REPORT**, **AUTOMATIC TRANSMISSION**, 15" 5-Spoke Aluminum Wheels, Accent Paint Stripes, Air Filtration System, Analog Gauge Package, Custom Luxury Package, Dual Lighted Visor Vanity Mirrors, Electrochromic Inside Rear-View Mirror, Power Driver Seat, Tachometer, Trunk Convenience Net. Odometer is 43748 miles below market average! 19/30 City/Highway MPG This vehicle passed our 18 Point safety and mechanical inspection. In addition, every vehicle we sell comes with a 7 day 300 mile return policy. All vehicles come standard with one key. If two or more keys are provided from the previous owner they will be included. Located at Apple Used Autos in Shakopee on Hwy 101 Reach us on: (952) 403-7622. **MOONROOF, **LEATHER, **NO ACCIDENTS, **ONE OWNER, **LOCAL TRADE, **ALL WHEEL DRIVE. Recent Arrival! Apple Autos is DIFFERENT! See our best price upfront! Real cash value for your trade! Commission-free sales team! 19 point safety inspection. Vehicle is sold as is. 7 day exchange policy. Vortec 4200 4.2L I6 MPI DOHC. This vehicle passed our 9-Point safety and mechanical inspection. In addition, it qualifies for a 5-Day vehicle exchange. Recent Arrival! **LOCAL TRADE**, **MP3 and IPOD COMPATIBLE**, **POWER SUNROOF**, **4X4**, **TRAILER/TOW PACKAGE**, **AUTOMATIC TRANSMISSION**, 16" x 7" Luxury Style Steel Wheels, Air Conditioning, Cargo Compartment Lamp, Convenience Group I, Front & Rear Floor Mats, Illuminated Entry, Illuminated Sun Visor Vanity Mirrors, Map/Dome Reading Lamps, Power Convenience Group, Power Fold-Away Mirrors, Power Windows w/Driver & Passenger 1-Touch Down, Quick Order Package 26B, Rear Power Outlet, Remote Keyless Entry, Roof Rack, Speed Sensitive Power Locks, Tilt Steering Column. This vehicle passed our 18 Point safety and mechanical inspection. In addition, every vehicle we sell comes with a 7 day 300 mile return policy. All vehicles come standard with one key. If two or more keys are provided from the previous owner they will be included. Located at Apple Used Autos in Shakopee on Hwy 101 Reach us on: (952) 403-7622. Recent Arrival! **LOCAL TRADE**, **HEATED SEATS**, **MP3 and IPOD COMPATIBLE**, **BLUETOOTH HANDS FREE CALLING**, **POWER SUNROOF**, **AUTOMATIC TRANSMISSION**, Moon & Tune Value Package, Moonroof, Order Code 301A, Radio: Sony Audio System w/CDx6/MP3 Capable. 22/31 City/Highway MPG This vehicle passed our 18 Point safety and mechanical inspection. In addition, every vehicle we sell comes with a 7 day 300 mile return policy. All vehicles come standard with one key. If two or more keys are provided from the previous owner they will be included. Awards: * 2010 KBB.com Brand Image Awards Located at Apple Used Autos in Shakopee on Hwy 101 Reach us on: (952) 403-7622. **MOONROOF, G6 GT, 3.5L V6 SFI VVT. Recent Arrival! Priced below KBB Fair Purchase Price! 18/29 City/Highway MPG Take the stress out of getting a good deal on your next car! We Take Your Satisfaction Very Seriously. Here are our promises: *See our lowest price upfront! *No hassle-No haggle pricing! *Completely Transparent Buying Process! *Commission-free sales team! *You can't buy the wrong car! 7-day return policy! Hundreds of 5 star Google reviews. Come see for yourself why people love Apple Ford Lincoln Apple Valley!! **MOONROOF, **LEATHER. Recent Arrival! Priced below KBB Fair Purchase Price! 22/31 City/Highway MPG Awards: * 2006 KBB.com 10 Best Used Cars Under $8,000 Take the stress out of getting a good deal on your next car! We Take Your Satisfaction Very Seriously. Here are our promises: *See our lowest price upfront! *No hassle-No haggle pricing! *Completely Transparent Buying Process! *Commission-free sales team! *You can't buy the wrong car! 7-day return policy! Hundreds of 5 star Google reviews. Come see for yourself why people love Apple Ford!! ABS brakes. Apple Autos is DIFFERENT! See our best price upfront! Real cash value for your trade! Commission-free sales team! 19 point safety inspection. Vehicle is sold as is. 7 day exchange policy. **NO ACCIDENTS, **LOCAL TRADE, **LEATHER, **FOUR WHEEL DRIVE. Recent Arrival! Apple Autos is DIFFERENT! See our best price upfront! Real cash value for your trade! Commission-free sales team! 19 point safety inspection. Vehicle is sold as is. 7 day exchange policy. Recent Arrival! Priced below KBB Fair Purchase Price! **LOCAL TRADE**, **MP3 and IPOD COMPATIBLE**, **THIRD ROW SEAT**, **ALL WHEEL DRIVE**, **AUTOMATIC TRANSMISSION**, 160 Amp Alternator, 19" x 7" Chrome Clad Aluminum Wheels, 2nd Row 40/60 Tip & Slide Seat, 3rd Row 50/50 Fold/Reclining Seat, Air Conditioning w/3-Zone Temperature Control, EASY ENTRY® Seat System, Flexible Seating Group, Performance Steering, Performance Suspension, Rear Air Conditioning w/Heater. This vehicle passed our 18 Point safety and mechanical inspection. In addition, every vehicle we sell comes with a 7 day 300 mile return policy. All vehicles come standard with one key. If two or more keys are provided from the previous owner they will be included. 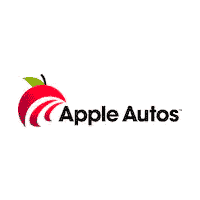 Located at Apple Used Autos in Shakopee on Hwy 101 Reach us on: (952) 403-7622.